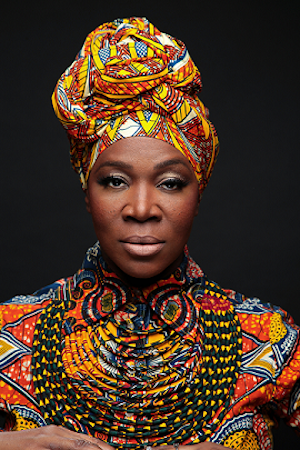 NEW ORLEANS (press release) – Four-time GRAMMY winning artist/songwriter India.Arie has announced 2019 tour dates in support of her upcoming album WORTHY (SoulBird/BMG), her first full-length album in five years, scheduled for release on Feb. 15. India’s North American trek will kick off April 30 at the Florida Theatre in Jacksonville and run through the summer. Marquee cities announced so far include stops in Atlanta, New Orleans, Austin, Detroit, Boston and New York City. Tickets go on sale beginning Feb. 8 at 10 a.m. Her moving new single, “What If,” released last week (WATCH), is available to fans who pre-order the album (HERE). WORTHY is India.Arie’s seventh studio album and soars as her most textured and lively work to date; an intuitive, multi-layered effort from a mature artist at the top of her creative powers. Along with the inspiring “What If” (which honors iconic trailblazers such as Dr. Martin Luther King and Rosa Parks) India also released the Caribbean-tinged song “That Magic,” from the forthcoming album. Currently a Top Ten song at R&B, the corresponding video features award-winning television/film and Stage actor Lyriq Bent (just completed "SHE’S GOTTA HAVE IT" for Netflix) and a cameo from GRAMMY winning Reggae Superstar Gramps Morgan. (WATCH) Other songs on the album include “Hour Of Love,” “Steady Love,” “We Are,” “Coulda, Shoulda, Woulda” and the title track “Worthy,” among others. She plans to showcase songs from the new album on her upcoming tour, sharing their compelling narratives as she continues to expand the canvas of her spiritual and lifestyle mission that has made her one of the most in-demand performers and speakers in the wellness space. Also among her accomplishments and accolades are five Top Ten albums (including 2001’s seminal Acoustic Soul, nominated for seven GRAMMYs, and her No. 1 debuting 2006 release, Testimony: Vol.1, Life & Relationship), numerous NAACP Image Awards, BET Awards, MTV Awards, and command performances for three US Presidents, (receiving public praise from President Clinton and President Obama). She also met the Dalai Lama and toured the National Civil Rights Museum with him in Memphis, TN. She was inducted into the Georgia Music Hall of Fame in 2009, and has joined Oprah Winfrey on multiple projects, including as a featured ‘Change Makers and Wisdom Teachers’ on Winfrey’s OWN Network as well as sharing with Oprah her trademark blend of performance/spiritual teaching via SongVersation. Tickets for India.Arie go on sale Friday, Feb. 8 at 10 a.m. at the Saenger Theatre Box Office, ticketmaster.com or by calling 800-745-3000. The box office, located at 1111 Canal St., is open Monday through Friday 10am to 5pm. All tickets subject to applicable service charges and fees. Her new WORTHY album will also be available free with ticket purchase in select markets. Exclusive meet & greet and VIP packages will be available via Future Beat starting Feb. 7. Click HERE for details.